STA Disciples Small Group Signups! We have a bunch of group leaders signed up, and we are now taking signups for participants who are interested in being part of our new adult faith formation initiative that will kick off after Easter! Small groups will meet in parishioner homes for fellowship and formation! Get to know fellow parishioners, and go deeper in your faith! Sign up now! 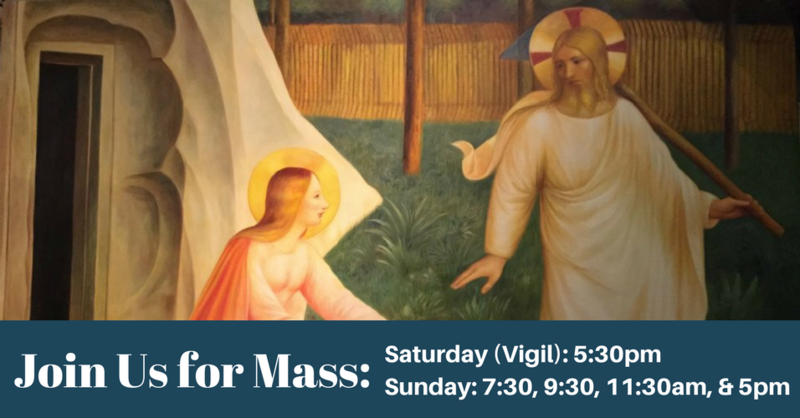 Join us on Sunday, April 28 at 3:00 p.m. for Adoration, the singing of the chaplet, veneration of the Divine Mercy Image, and Benediction in honor of this Feast Day. Early Bird Registration for Religious Education has officially begun! Online form is here! Early bird registration ends on May 31, 2019. Regina Caeli Academy, a classical hybrid education model in the Catholic tradition, is having an informational meeting to all interested families who plan on homechooling. Join us on May 3 at 6:00 p.m. in Room A&B to discuss what RCA can do for your family. 25 families are needed to register for Fall 2019 by May 15 in order to bring RCA to our community. Visit http://www.rcahybrid.org for more info. pretzels,100-calorie snack packs, Cookie packs, Lance crackers: particularly peanut butter, Fruit snacks,Snack-size bags of peanuts, Snack-size apple sauce / fruit cups, Fun-size candy bars, Juice boxes, Mini muffin packs. No Gum, Hard candy, Microwaveable popcorn & Frozen meals. 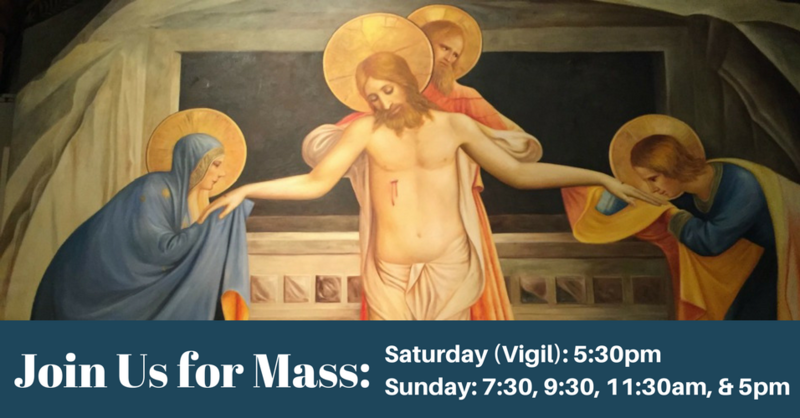 Sunday, May 19 after the 7:30 a.m. & 9:30 a.m. Masses. Tickets sold at the door! We host Monday night Bingo inside Aquinas Hall. Volunteers are needed to assist once a month. If you can help out, contact Greg Kent gregskent@att.net or Thomas Beckett thomaskofc@earthlink.net. Our director of Sacred Music, Tom Savoy, has released an album of his art song compositions from the past 30 years. You may purchase a digital download on his website for $15. Visit www.savoymusichouse.com for samples and to purchase! DSA: Click here to donate now! All U.S. Catholics can support the reconstruction of the Notre Dame Cathedral. Visit http://www.supportnotredame.org for more information!